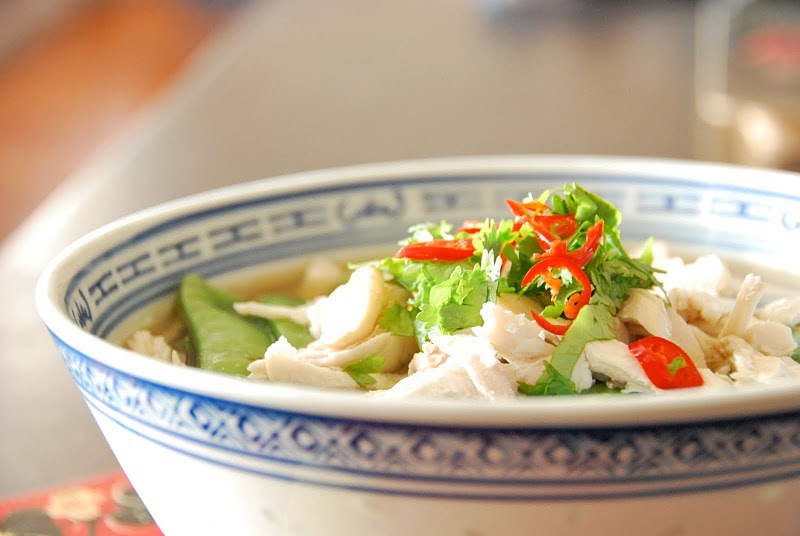 A traditional soup – good for the soul – with the taste and vibrancy turned up. Great for a light lunch on a hot summers day. From now on must be included in your healthy diet.Why? Only because it’s incredibly healthy!…. Pour the stock, water and soy sauce into a saucepan and add the garlic, ginger and lemongrass pieces. Season with pepper and bring to the boil. Reduce the heat to a simmer, add the chicken breast and allow poach gently for 20 minutes, or until the breast is cooked through. Meanwhile, place the noodles in a heatproof bowl and cover with boiling water. Set aside until noodles are tender and ready for use. Once the chicken is cooked through, remove from the stock, allow to cool slightly then shred. Strain the stock to remove the garlic, ginger and lemongrass pieces. 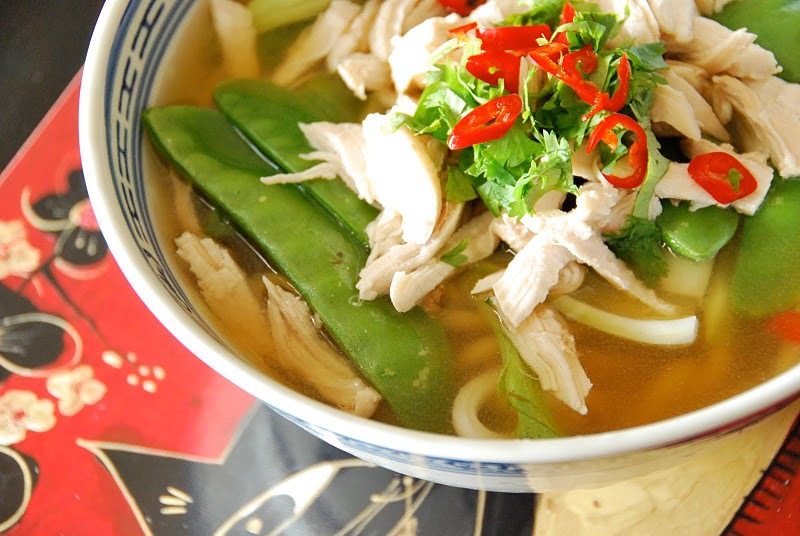 To assemble the soup pile noodles in a large bowl, top with the fresh choy sum, snow peas and shredded chicken, then ladle over the hot stock. Garnish with fresh chilli and coriander. That’s it. Easy to make,fresh and light with lots of wonderful flavours going on.